This moisturizer hack is so easy, you’ll probably be mad that you didn’t discover it sooner. Read on to see how you can turn any kind of moisturizer into a more hydrating product that helps prevents forehead lines from cropping up. I’m the kind of person who’s actually pretty lazy with my skin care. Sure, I’ve conditioned myself to do a full Korean routine every night (at least most of the time), but I’m always looking for any kind of shortcut I can do to make my routine easier and faster. For example, I’m all about using acid toners so I can avoid having a toning step and an exfoliating step in my routine. It’s all about killing two birds with one stone. But my latest revelation isn’t so much a time-saving hack as it is a genius way to amp up my regular moisturizer into a super powerful anti-aging powerhouse. Are you ready for how easy this trick is? OK, here it is: Simply add a drop or two of a hydrating ampoule or “booster” into your moisturizer puddle, mix it up, and pat the concoction into your skin. More specifically, add an ampoule that’s main concentration is hyaluronic acid. Why? Because hyaluronic acid is one of the absolute best anti-aging ingredients. In fact, our bodies naturally produce hyaluronic acid, but as we get older, our skin becomes less efficient in producing it, leading to increased dryness and more visible wrinkles. That’s why your skin starts sagging as you get older. Injecting skin with hyaluronic acid helps turn back time in a sense by infusing your skin with what it had in its youth. I started using this hack a couple months ago with the Paula’s Choice Hyaluronic Acid Booster. Every night, I would place a couple drops of it into whatever moisturizer I was using at the time, whether it was the Innisfree Canola Honey Cream if I was breaking out or the Klairs Rich Moist Soothing Cream if I was in need of some skin-soothing ingredients. Whichever moisturizer I chose, the booster helped immediately plump up my skin and deeply hydrate so that I woke up with none of those annoying fine lines I would always see on my forehead the next morning if I didn’t add it. So, everything was going fine with the Paula’s Choice booster, but then, a few weeks ago Soko Glam launched The Plant Base ampoules. One of the ampoules is the Waterfull Moist Balanced Hyaluronic Acid 100. It contains a more impressive amount of hyaluronic acid and…here’s the best part…it’s less expensive than the Paula’s Choice one, plus it contains more product! The Plant Base ampoule is $23 for 0.68 ounces of hyaluronic acid, while the Paula’s Choice ampoule costs $34 for 0.5 ounces. Additionally, The Plant Base ampoule contains a better version of hyaluronic acid: sodium hyaluronate. When you’re looking for a product with hyaluronic acid, you should always search for products that label it as sodium hyaluronate. This is a more stable form of hyaluronic acid that actually comes in smaller molecules, making it more easily penetrable by the skin. 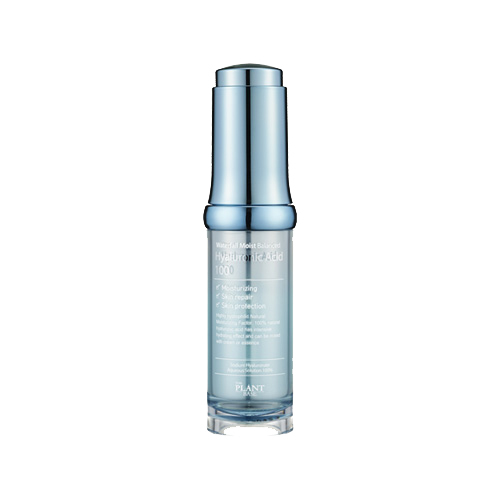 The great thing about this ampoule is that it blends in seamlessly with cream moisturizers. Another great mixture is adding a few drops of The Plant Base ampoule to the Benton Snail Bee High Content Steam Cream. The combination of the snail mucin and bee venom in the Benton cream and the hyaluronic acid from The Plant Base ampoule creates a knockout anti-aging and acne scar-fading mixture. This particular mixture is what I mean when I say this is an amazing moisturizer hack. Adding a few drops of The Plant Base hyaluronic acid ampoule to any moisturizer (whether it’s cream or gel) turns it into an anti-aging moisturizer on top of whatever else it’s supposed to help. So by adding this ampoule to the Missha moisturizer, I’ve turned a moisturizer that tackles excess sebum without drying out my skin. And my skin doesn’t develop acne from a heavy moisturizer and my wrinkles are not visible. A win-win situation! This hack is super simple yet so effective! It comes in handy when you need to use a moisturizer that isn’t for anti-aging because your suffering from other skin issues, like redness, acne, or excess sebum, yet you still want your moisturizer to provide wrinkle-fighting benefits. All I have to say is: When it comes to amping up your moisturizer for insanely plump and smooth skin, hyaluronic acid ampoules are the real deal. + What is your favorite moisturizer hack? Share it with me in the comments below!